The Santa Fe Depot in Halstead is a one-story brick structure built in 1917. 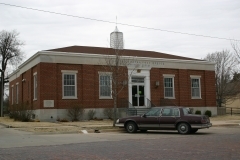 It is an example of a county seat depot and served both passenger and freight needs. These county seat depots were in more important towns and were often built of brick, some displaying architectural styles popular at the time. 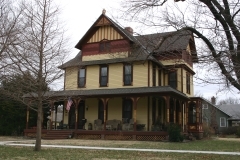 This depot features an eclectic mix of styles, but its wide overhanging eaves, large eave brackets, and tile roof reflect the influences of Craftsman and Prairie styles. 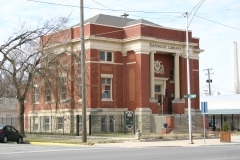 It was nominated as part of the "Historic Railroad Resources of Kansas" multiple property nomination for its local significance in the areas of transportation and architecture. In the early 1880s, John Jacob Krehbiel purchased the Angood blacksmith shop and two adjacent lots on East 6th Street in downtown Newton. He expanded the business in 1883 and built a two-story brick building to serve as his wagon and carriage factory. 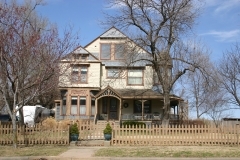 The Krehbiel family lived in a house adjacent to the blacksmith shop at 134 E. 6th. Krehbiel sold his business in 1903 to his eldest son Edgar, who transitioned the business into early auto repair in by about 1910. In 1911, Edgar expanded the business and built a two-story brick building to replace the original wood-frame blacksmith shop. 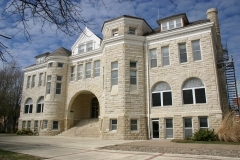 An engraved stone on the second story of the façade says "J. J. Krehbiel 1911" in honor of his father. 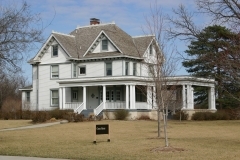 The Krehbiel family sold the business and property in 1921. 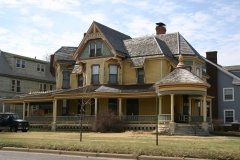 The nominated property consists of the 1911 building at 128 E. 6th, the 1883 building at 130 E. 6th, and a memorial park at 134 E. 6th where the Krehbiel residence once stood. The original Victorian-era fence surrounds the lot. 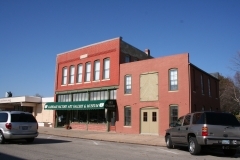 Today, the property is home to the Carriage Factory Art Gallery. 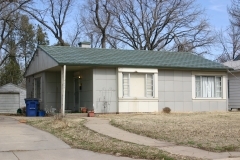 It was nominated for its local commercial history and its architecture.